Lithia Hyundai of Reno is the home of the 2018 Hyundai Kona, the first ever Hyundai Kona model, that’s brand new for the 2018 model year. As a subcompact SUV, the Kona is well-equipped to offer you a good time and plenty of storage space along the way. Packed with features, the Hyundai Kona is the perfect choice for you and all of your passengers wherever you’re headed. If you’re in the market for a subcompact SUV, you can’t go wrong with the new Kona. It stands tall above the rest of the competition, including popular vehicles like the Mazda CX-3, the Honda HR-V and the Nissan Rogue Sport. Drivers looking for a superior compact crossover SUV ride need to look no further than the new Hyundai Kona. Other compact SUV models have more swagger than others, and that’s the case with the Hyundai Kona. It’s styled with sleek lines and sharp angles as opposed to the boxy nature of the Buick Encore and the FIAT 500X. If you’re looking for true exterior design, you’ll want to pick the Hyundai Kona every single time. Learn more about the Hyundai Kona and how it stacks up to the competition by visiting us at Lithia Hyundai your car dealership in Reno today. At our dealership, you’ll find new Hyundai models, used cars for sale, Certified Pre-Owned Hyundai vehicles and more. Check back often to see our service specials, price changes, new offers for car loans and more. Stop by our dealership in Reno for great deals, excellent service and more today! The plush and comfortable interior of the 2018 Hyundai Kona makes each drive a pleasant one. The Hyundai Kona provides a spacious 94.1 cubic feet of passenger volume, including 41.5 cubic feet of front leg room. Stretching your legs without worries is a standard convenience you can enjoy with the 2018 Kona. Additionally, behind the rear seats, you’ll find 19.2 cubic feet of cargo space. That cargo space opens up to 45.8 cubic feet behind the front seats with the rear seats folded down. In comparison, the 2018 Mazda CX-3 falls way behind, offering 87.6 of overall passenger volume and 12.4 cubic feet of cargo space behind the rear seats. Whether you’re bringing along groceries or golf clubs, you’ll find all the space you need in the Hyundai Kona. The Hyundai Kona isn’t just a large vehicle to store cargo. The infotainment system contains a host of features that are essential to a modern day driving experience. The Hyundai Kona comes standard with Apple CarPlay™ and Android Auto™, features that you won’t find on any trim of the Toyota C-HR. Additionally, the Hyundai Kona features a USB port and a 7-inch touchscreen. Available features on the Hyundai Kona include a sunroof, an 8-speaker audio system, wireless device charging, an 8-inch touchscreen system, satellite radio and more. For more information on the 2018 Hyundai Kona drivers can visit our Reno, NV car dealership. Find the right Hyundai Kona for you by test-driving one here today! The 2018 Hyundai Kona provides 2 lively engine options to choose from. The first is a 147-horsepower 4-cylinder engine, and the second is a 175-horsepower turbocharged 4-cylinder engine. 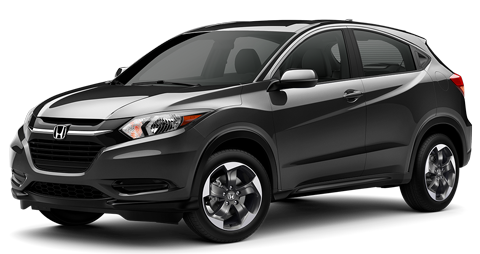 Both engine options are superior to the so-called Nissan Rogue Sport, offering only one 141-horsepower engine. The standard engine is perfect for your daily commute, making it easy to get to where you need to go at any given time. Need to go for a grocery run? You won’t be disappointed by the performance of the standard engine. For drivers seeking more thrills, the optional turbocharged engine that generates 175 horsepower is perfect for adding a little spice to your life. 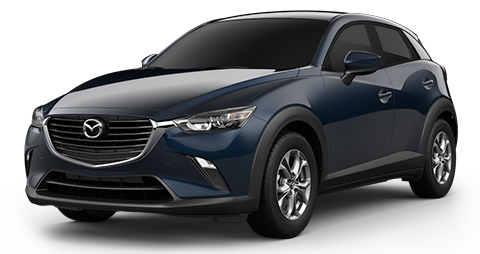 The Mazda CX-3 at its best with its 146-horsepower engine can’t compare to the performance of the 2018 Kona. If you’re looking for a vehicle that makes every trip thrilling, look no further than the Hyundai Kona. 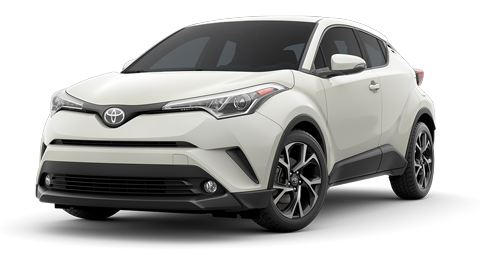 To add to the superior performance of the 2018 Kona, front-wheel drive is standard and provides dynamic mobility. For drivers seeking additional traction control, all-wheel drive is available, allowing you to tackle any and all road conditions, regardless of whether it’s wet, gravel or anything else. 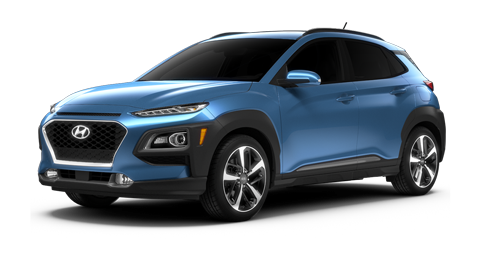 The Hyundai Kona is also a leader in fuel economy with an EPA-estimated 27 MPG in the city and 33 MPG on the highway with front-wheel drive. Despite its size, the 2018 Kona is friendly to your wallet, allowing you to make your journeys without worrying about constantly stopping for gas. In comparison, the 2018 Mitsubishi Outlander Sport provides inferior fuel economy, offering EPA estimates of just 24 MPG in the city and 30 MPG on the highway. To make driving a real cool time, test-drive the 2018 Hyundai Kona at our Reno car dealership, Lithia Hyundai of Reno. Visit us today! Whether you’re transporting family, friends or cargo, the 2018 Hyundai Kona makes sure that you are safe every step of the way. With a standard rearview camera, backing up your Kona into tight spots will be a stressful activity no more. Even parallel parking is easier with a handy rearview camera. Additionally, you can opt for a host of additional available safety features. Among them are a Heads-Up Display that projects useful and crucial information onto the windshield. This way, you can keep your eyes on the road at all times while you focus on driving safely. Another available safety feature is Lane Keep Assist which notices when you start to drift out of your lane without using your turn signal. One more available feature that you’ll notice to be helpful is Rear Cross Traffic Alert which looks out for you as you’re backing up. With the new Hyundai Kona, you can have confidence wherever and whenever you drive. Additional optional safety features include Forward Collision Warning, Pedestrian Detection, Driver Drowsiness Monitoring, Autonomous Emergency Braking and more. These are the types of features you can expect from a leader in subcompact SUV safety. Why choose any other vehicle? You can find the 2018 Hyundai Kona at Lithia Hyundai of Reno, home to a showroom full of other Hyundai models you know and love. We are stocked with everything, ranging from the popular models such as the Hyundai Sonata and the Hyundai Elantra up to the Hyundai Santa Fe Sport and the Hyundai Tucson. You can call us, receive price alert emails or visit us at 2620 Kietzke Lane, Reno, NV 89502 for a top-notch shopping experience from when you walk in to when the vehicle is sold and the keys are in your hand. Drivers in Sparks, Carson City and Reno, NV can visit us at our Reno, NV car dealership to get a fantastic offer on a new 2018 Hyundai Kona. 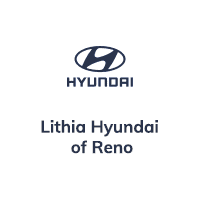 Come test-drive one at Lithia Hyundai of Reno near Carson City today!